Size: 13.5 x 11 inches. 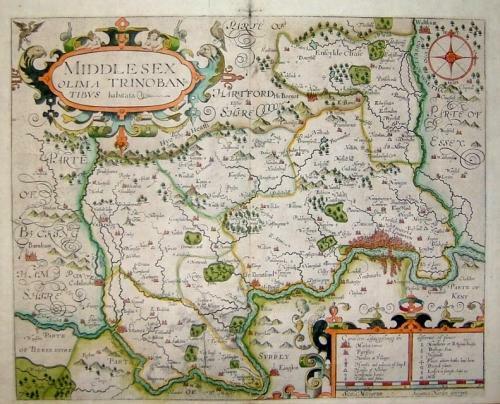 A decorative map of Middlesex. Details include a "Scala Milliarum" and the cartogpher is "Johannes Norden defcripsit". This maps shows towns but no connecting roads.